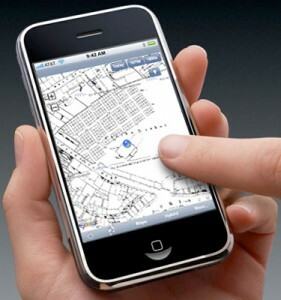 SatNav for historical maps: A phone app that combines GPS technology with old maps to allow users to walk through time. Walking Through Time is a mobile application that allows smart phone users with built-in GPS to not only find themselves in the present, but find themselves in the past. By making available historical UK maps, users will be able to scroll through time and navigate places using maps that are hundreds of years old. Funded by a JISC rapid innovation grant, the application was developed collaboratively between Edinburgh College of Art and the University of Edinburgh. The idea emerged from a conversation during a University of Edinburgh meeting of the IT Futures group and was inspired by the work of Richard Rodger, Stuart Nicol and Stephen Vickers.